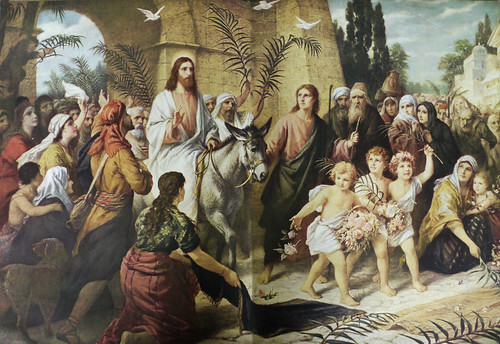 On Palm Sunday, Jesus arrived at Jerusalem riding on a donkey, where he was welcomed by cheering crowds. (The “Palm” in “Palm Sunday” refers to the tree branches that the crowds used to make a path for Jesus.) His arrival—often called the Triumphal Entry—fulfilled a prophecy by the Old Testament prophet Zechariah about the Messiah’s appearance in Jerusalem.